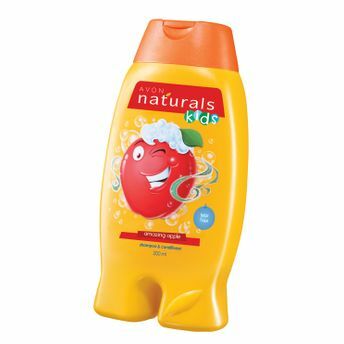 Cleanses hair leaving them soft, shiny and conditioned, Dermatologist tested, safe for kids, yummy apple flavored Shampoo + Conditioner for kids in Tear free formula shampoo for kids, fun bathing, tear free products. Explore the entire range of Bath Time available on Nykaa. Shop more Avon products here.You can browse through the complete world of Avon Bath Time .